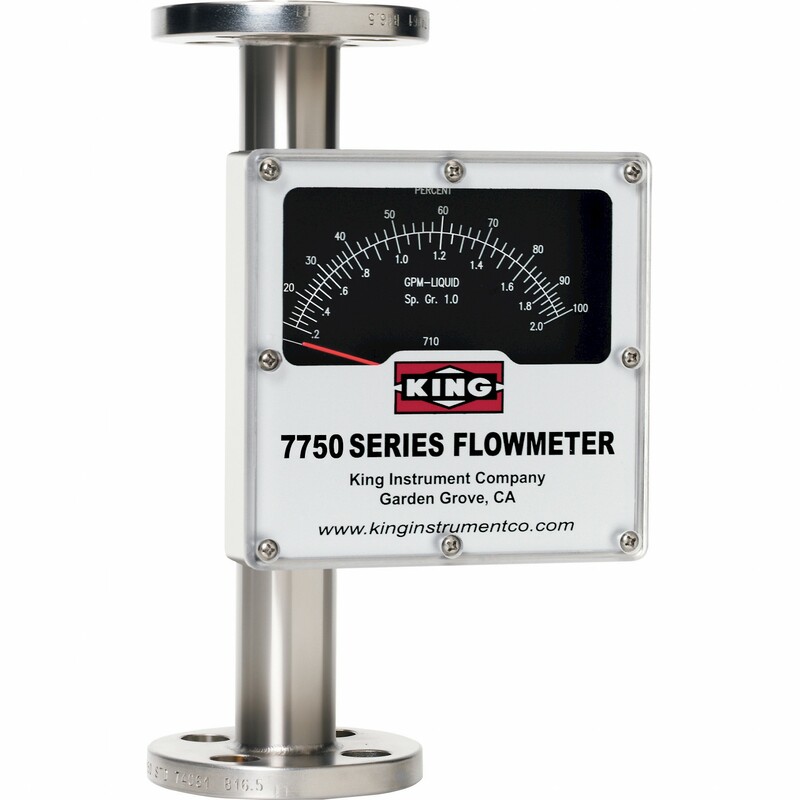 The King 7750 series rotameter is an all 316L stainless steel meter with flanged connections featuring an all welded construction reducing the need for O-rings. The flange to flange overall length of the meter is 250mm, the metering tube, internal components and fittings are all constructed from 316L stainless steel whilst the indicator housing is constructed from 304 stainless steel. ANSI flange connections are available in either ½” or 1”. 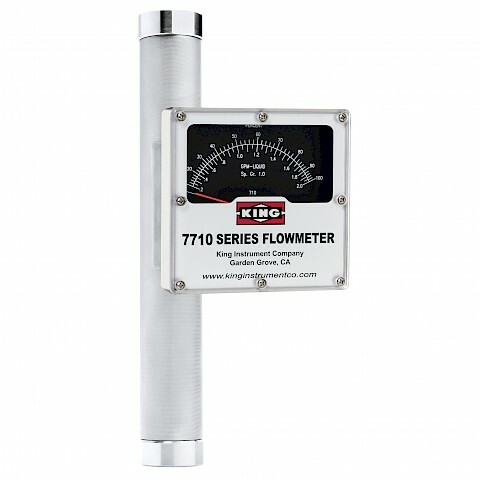 The flow meter also offers a detachable direct reading 120mm flow scale. Liquid models are available with full scale flows from 2 litres per minute to 62 LPM. Gas models are available with full scale flows from 2.2 standard cubic feet per minute to 76 SCFM.